​At Teeth Whitening Monterey our system is cost effective, enamel safe and pain free. Erase years of stains in minutes with our FDA compliant gel and unique blue light technology that produces immediate results. The results from our professional treatment can produce up to 16 shades whiter in 60 minutes. Drug store or non-professional products may only produce 1-3 shades in several weeks/months of daily usage and are more likely to produce sensitivity. 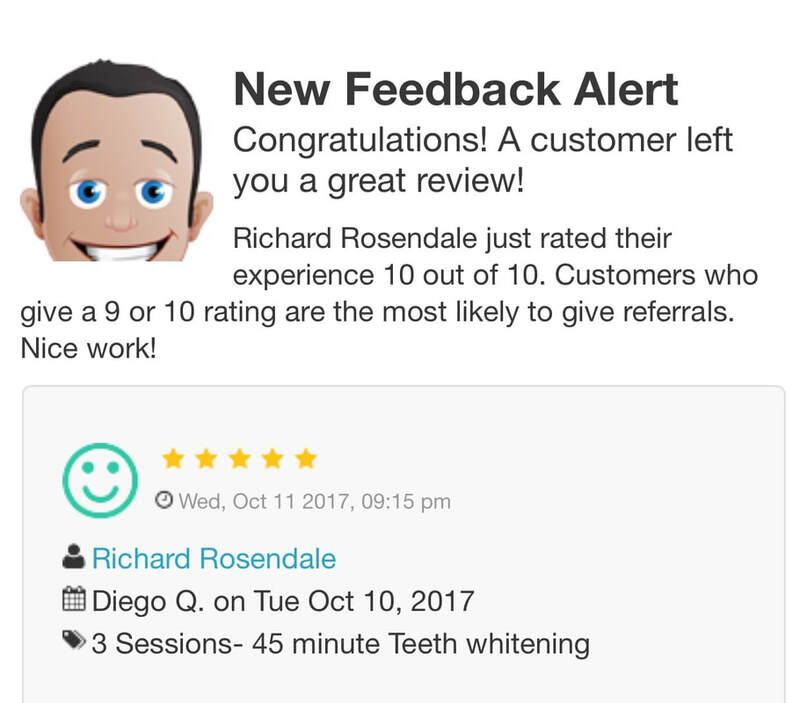 ​I am so happy with experience at SmileLabs. I came out with much whiter teeth. I definitely recommend. Julie was extremely nice! I've tried many other whitening products which caused pain and sensitivity to my teeth but I am extremely happy to say after my session here, I came out pain-free with a visibly whiter smile! Super friendly and immediate noticeable results! My teeth have never looked better! Amazing specials! I can't wait to come back! Julie was FANTASTIC, my teeth look so much better! 2 thumbs up!